The Sexual Assault/Domestic Violence (SA/DV) Care Centre provides compassionate, confidential health care for children, adolescents, women, transgender persons, and men who have experienced sexual assault and/or domestic violence. Our mission is to ensure that care is provided with sensitivity and privacy for survivors of sexual assault and domestic violence. Note: We do not report assault cases to police. If you wish to file a police report for sexual assault or domestic violence, we can provide support to you if requested. We will listen and believe what you tell us about the assault. We will provide respectful, non-judgmental care and support. We will help you make informed decisions about your care. We can help you begin to regain a sense of control in your life. Upon your arrival to the emergency department, the hospital will contact a specially trained nurse (SANE) from our program to support you. The involvement of police is your decision and will be respected by our staff. The hospital will not contact the police without your permission. Upon consent and if the assault occurred within the past 72 hours, collection and recording of physical evidence for completion of a forensic evidence kit, which may be used in legal proceedings. During this time, caring for yourself is really important. Be patient with yourself. It takes time to recover. Believe in yourself and know that you will get through this. You do not have to recover on your own. There is support available to you. Please contact us if you would like to come a see one of our counsellors. Sexual assault is any form of unwanted sexual contact that is forced upon someone without that persons consent. If you have experienced sexual assault, know that there is help and support for you. You do not have to experience this alone. When you arrive to the hospital, a specially trained nurse from our program will be paged. She will arrive within 45 minutes and meet you in the emergency room. These nurses are called SANE’s (Sexual Assault Nurse Examiners) who are on-call 24 hours a day, 7 days a week. SANE’s can spend time with you in a private space and room to help you cope with what has happened and to help you understand your options. It is your choice whether you want to involve police. It is your choice if you would like evidence collected. The SANE will support you around making these very difficult choices. Domestic violence and abuse do not discriminate, but it often escalates and places the person experiencing violence at great risk. Domestic violence and abuse can be physical, emotional, verbal, financial, psychological or sexual, and is often used as a weapon of control and intimidation by spouse or partner. It is never okay for someone to hurt you. Your safety is very important. If you or somebody you know is experiencing violence in their relationship, know that help is available. Call us or check out our resources for more information. 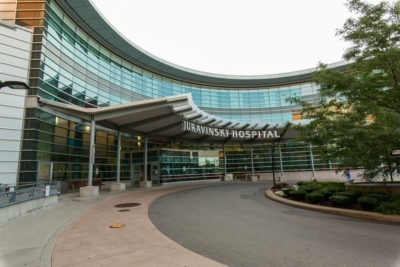 If you are in need of medical attention due to a recent incident of physical domestic violence, please go to either the Juravinski Emergency Department or the Hamilton General Hospital Emergency Department. Service is available 24 hours a day every day of the year. If you are under 18, please go to the Emergency Department at McMaster Children’s Hospital. The clinic provides medical care and counselling to adults and youth over 13 years of age who have experienced sexual assault or childhood sexual abuse. Services for children under the age of 13 are provided by the Child Advocacy and Assessment Program. Counselling is also available for men, women, and transgendered people who have experienced any kind of violence in their relationships with a current or past partner. You may be seen for counselling at the SA/DV Care Centre even if you did not receive emergency medical care through our centre (or at all). You can call our clinic yourself and we will return your call as soon as possible. You do not have to be referred by another professional. You are in control of medical decisions and counselling sessions. Counselling is focused on healing from trauma, and you are in charge of your healing process. Your counsellor has knowledge, expertise, and skills to help you manage and/or resolve feelings related to sexual assault, but only with the understanding that you are the expert in your life. Counselling can move as quickly or as slowly as you would like. You are in control of your counselling sessions. How long can I come for counselling? Counselling at the SA/DV Care Centre is short-term, which means that you could come for counselling on an on-going basis for weeks or months (as oppose to years). Some people come for 1 session, while others come for 12 or 24 sessions. You will find the number of sessions that works for you and your counsellor. What you talk about with your counsellor is confidential – this means that it stays between you and your counsellor. 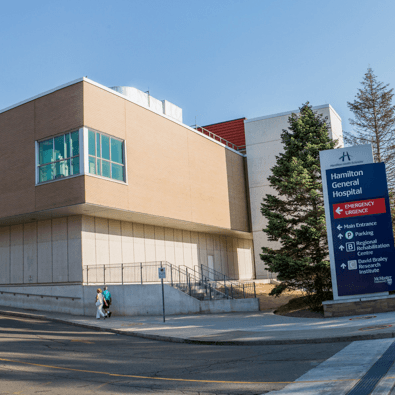 Even the charts are done separately, so that other health care professionals outside of the SA/DV Care Centre will not have access to information related to the sexual assault. You would need to request the access of the charts to another health care professional, and you would need to sign a consent for your counsellor to speak with another professional or family member on your behalf. There are 3 exceptions to the confidentiality that you have with your counsellor. If your counsellor feels you are at immediate risk to commit suicide or commit a violent act against another person. If you disclose information that a child under 16 years of age is at risk of abuse or neglect. If the SA/DVCC receives a subpoena to release information to an attorney (if you are involved in legal proceedings).